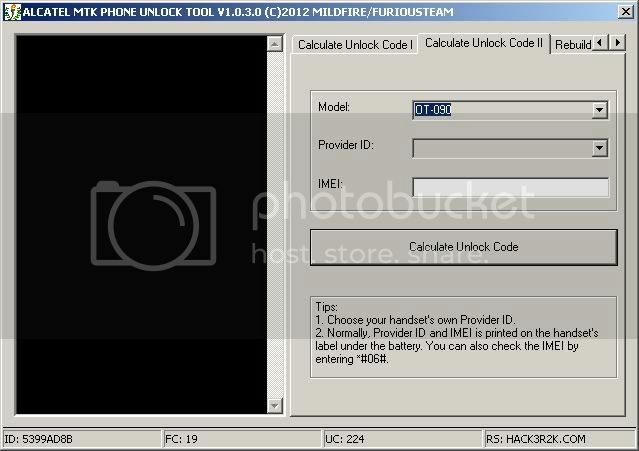 AlcatelMTKPhoneUnlockTool_v1.0.3.0 RELEASED ! GREAT NEWS ! Starting with this version we added STANDALONE, NO LOGS, NO SERVER, NO INTERNET CALCULATION FOR ALL THE PROVIDER IDS. OVER 5000 PROVIDER IDS SUPPORTED ! NOTE: DONGLE REQUIRES UPDATE !! !